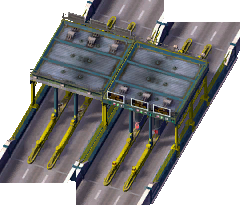 The Toll Booth is a Transport building that provides Car services, added in the Rush Hour expansion pack. 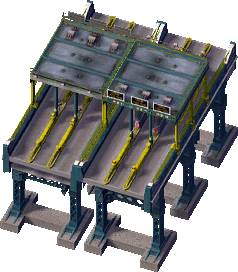 Toll Booth are designed to allow you to charge Sims for use of a stretch of road, however they greatly worsen congestion and generally have a much lower capacity than the network they are on. 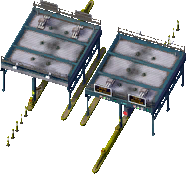 In total there are four distinct variants of Toll Booths, each serving one of the different Major Transport Networks (Road, Avenue, Highway and Ground Highway) in SimCity 4. It appears that the Ground Highway was intended to have a different model overlaid on the standard Ground Highway transit model.